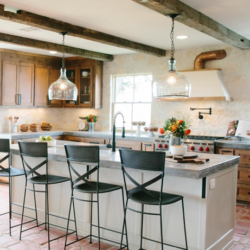 This family home sets on a 2,000-acre ranch about 30 minutes outside of Waco. 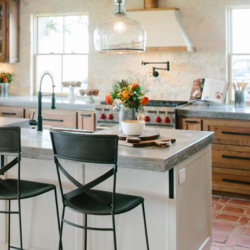 It was practically abandoned and in crumbling conditions, until Chip and Joanna Gaines transformed this decadent house into an attractive and stylish home with the help of Design Superstore products! 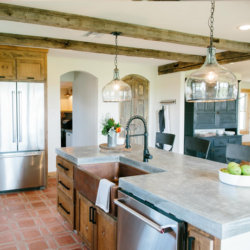 The interior was beautifully updated with Carrara marble countertops for the bathroom vanities.